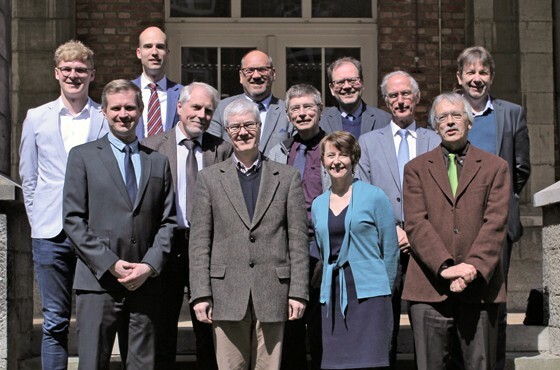 The Evangelical Theological Faculty Leuven is a non-profit organization and is by law organized as such. The executive administration is responsible for the management of the daily operation of the faculty. She consists of rector Prof. Dr. Andreas Beck, academic vice dean education Dr. Jelle Creemers, academic vice dean research Dr. Maria Verhoeff, and administrative director Drs. Gerson Veldhuizen. The Board of Trustees is authorized to appoint the executive administration and academic personnel and to amend the internal regulations and the education- and examination regulations. Members: Dr. Gottlieb Blokland, Koen Celis, Drs. Filip De Cavel (chairman), Prof. Dr. Henk Jochemsen (vice-chairman), Sarah Morton, Jef Saenen, Chris Sebrechts, Dr. Richard Toes and student representative Alex de Vreugd. The executive administration participates in an advising role. The General Assembly appoints board members, is authorized to amend statutes and approve the budget. She gathers once a year. Members: Dr. Gottlieb Blokland, Koen Celis, Drs. 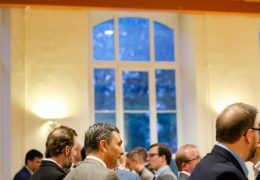 Filip De Cavel (chairman), Diederick Eikelboom, Prof. Dr. Henk Jochemsen (vice-chairman), Michael Künnemann, Hans Maat, Sarah Morton, Prof. Dr. Phil Roberts, Jef Saenen, Chris Sebrechts, Ds. Jean-Claude Thienpont, Dr. Richard Toes, Kees van Velzen and student representative Alex de Vreugd. The executive administration participates in an advising role. 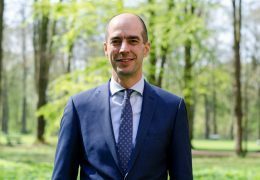 Government Commissioner Dr. Jozef De Cuyper has been appointed by the Flemish Government to see to it that government subsidies are spent appropriately and governmental procedures are followed correctly. He attends the meetings of the Board of Trustees and the General Assembly.